← Day 273 – 3 months to go! Day 275 – Skilled … Perhaps not? 2) really wanted to re-wear an outfit for pretty much the first time since I started this challenge but obviously didn’t so we stand at 275 days of completely different outfits on one wardrobe PHEW! Not exactly world record stuff but a good personal goal still being achieved. 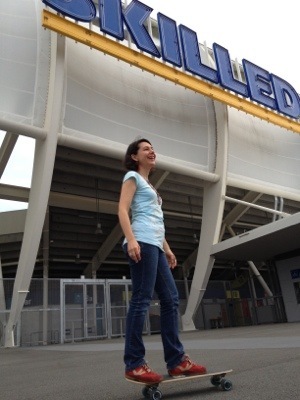 Posted in Birkenstocks, Brisbane Fun, casual, fashion, jeans and tagged Gold Coast, Rob Thomas, skate boarding, Skilled Park, spring, Wardrobe challenge. Bookmark the permalink.